This entry was posted in Current Affairs, Economic Theory, Economics and tagged austan goolsbee, cash, efficiency, market inefficiencies, neoclassical economics, university of chicago. Bookmark the permalink. ← Why are Democrats souring on big government? No matter what other people say about how “cash is trash,” I believe cash is the best. Just try to sale your staffs anywhere and you’ll find it’s very difficult to make a sale to get some cash. When you have the cash you can buy anything thing you want. But if you try to exchange staffs or barter staffs, it’s very difficult (the big problem with hard assets.) I definitely prefer cash as gift. Or even gift card is better than staff because you can use it to get things you want, not other people want you to have. So give me some of your “Cash is Trash” to me. The more the better to me. As in earlier Azizonomics discussion of the economics of competing forms of energy, situational considerations dominate. Children prefer toys and surprises. There is usually a lot of child in grownup women. Choose accordingly! I’m gettin my wife to gift me gold, trumps cash in my book. but what the heck do i know ! 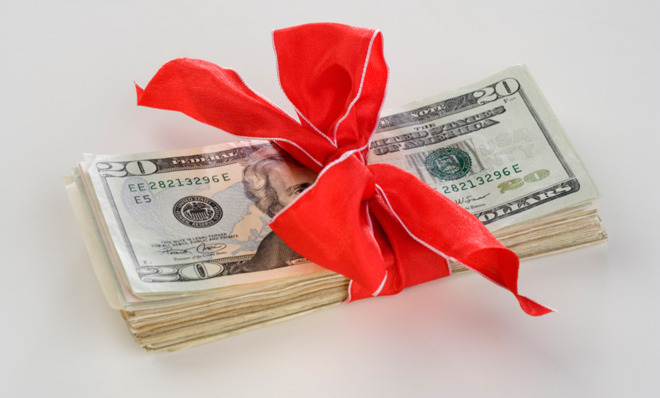 Cash may be efficient but human beings also get nourished by planning, shopping and anticipating the joy of exchanging chosen personalized gifts. The alternative would soon destroy the joy of giving. Santa Claus would be out of a job. the whole thing abouts xmas is to show your beloved that you care. that you think of them. giving cash doesn’t achieve this. giving a mismatched gift is a “failed” try but it still has the notion of trying to think of them. ppl do not give gifts to fit, they do to show their affection. some stupid economists show resources are “wasted”. but this is misunderstanding. even movies abouts xmas for kids teach the whole thing is about human connections. stupid economists reduce human connections into “allocation dillema”. there is no dillema. a mismatched gift is still a good gift. because what is given is sign of affection. those folks are missing the point because they’re ingoring the human-cultural part. I can’t believe aziz has been reduced to such stupidity as these weak articles. Absolute garbage is right!